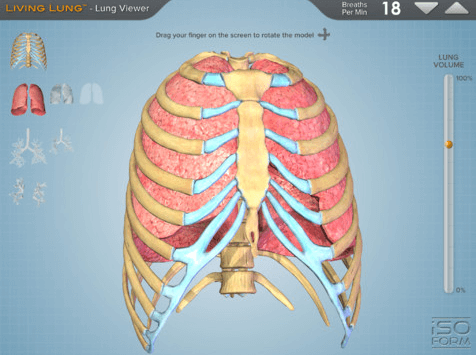 A superb FREE app that helps teachers showcase the internal workings of the human lungs. Users can modify the breaths per minute to see how this varies the lung volume. Use it with students learning anatomy, or during practical activities to help students visualise the acute responses they are experiencing. Two excellent resource apps made by PE Teacher Nicholas Stratigopz. Each app features over 100 games and activities to help students learn concepts, skills and strategies within both respective sports. Check out the video below highlighting the many features BasketballPE app. Check out the other top app lists here – Part 1 – Part 2 – Part 3 – Part 4– Part 5 – Part 6 – Part 7 – Part 8 – Part 9 – Part 10 – Part 11 – Part 12 – Part 13 – Part 14 – Part 15 –Part 16 – Part 17 – Part 18 – Part 19 – Part 20 – Part 21 – or grab the PE Apps app for a great one stop collection of the best PE apps. Basketball PE & Soccer PE iOS apps featured on @mrrobbo’s blog! Fanatastic App ideas for Phys Ed teachers! These look like wonderful apps. I would have loved to use some of these when I took Anatomy and Physiology! I am planning on getting Whack A Bone just to refresh my memory of the bones. Apps like this are awesome! They are a good way to use today’s technology for a way of teaching. This is a really cool app and I will more than likely be looking into it to use when I teach. Thank you for always updating new apps for physical educators. This is the future of physical education and we need quality apps to increase student learning within our classroom. Additionally, this will be very helpful when our school district migrates towards 1:1 with students having individual IPADs. Thanks for your comment. Im certainly excited by the possibilities that are present within contemporary PE. We are truly just getting started with whats possible. I like to say thanks too 🙂 You really help beginners! Maybe you know a good Apps for making groups and notes? I mean like namelists and is students present or not.